The Rimba Raya Biodiversity Conservation Project in Seruyan District, Central Kalimantan, is the first licensed, validated and verified REDD+ project in Indonesia. We’ve been accredited by the Voluntary Carbon Standard and Climate, Community and Biodiversity Standard and we are regularly audited to ensure we meet both standards. Since receiving our ecosystem restoration license from the central government in 2013, we have been busy building up a local team on the ground to actively protect and manage the 65,000-hectare forest reserve, an area slightly smaller than Singapore. In 2014, implementation of the programs in the field began in earnest through the hiring of a 10-person field management team. This included the Concession Manager, Program Coordinators and Field Unit Managers to guide the programs in each of the three geographic units in the project area. We work with 10 local communities that border the forest reserve on Borneo island. Their involvement is crucial to the success of protecting the forest over the long-term and they will also benefit through employment, livelihood programs and also through the natural benefits the forest brings them. Rimba Raya is mostly a flooded peat swamp forest and its streams and rivers provide important local fish breeding grounds. The clean water that flows from the reserve also reduces pollution in the main river. The forest is also rich in many different tree and animal species, including orangutans and clouded leopards and our aim is to develop eco-tourism to further boost local employment while also educating visitors about the value of preserving rainforests. In September last year, we also hired 23 people from the local communities as field staff, allowing us to establish three 11-person permanent crews in each of the 3 field units. 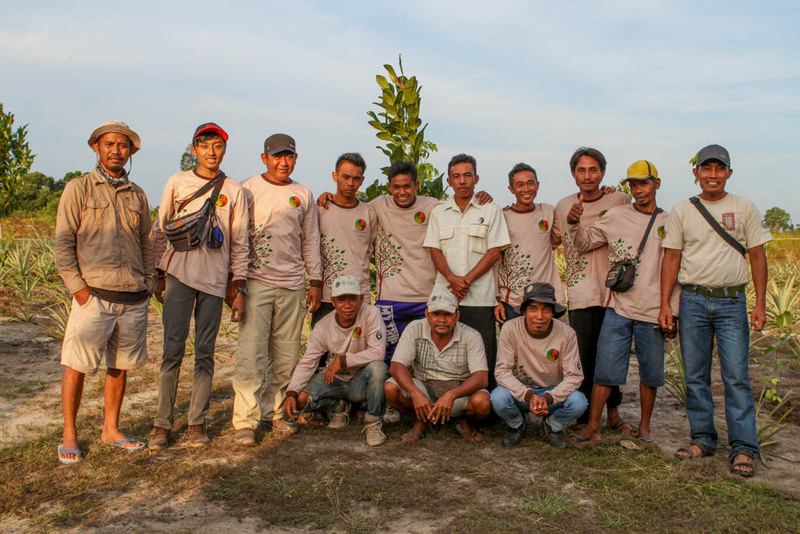 Specific work conducted by these crews is patrol and monitoring, data collection, tree planting, construction and maintenance of Rimba Raya facilities, community interaction and assisting villages with aspects of our programs that they need help with. Our goal over time is that these crews will also become the permanent fire-fighting force to control fires within the concession and the surrounding communities during the dry season. While much of Rimba Raya is still forest, some areas were cleared in the past and need to be replanted with native tree species. 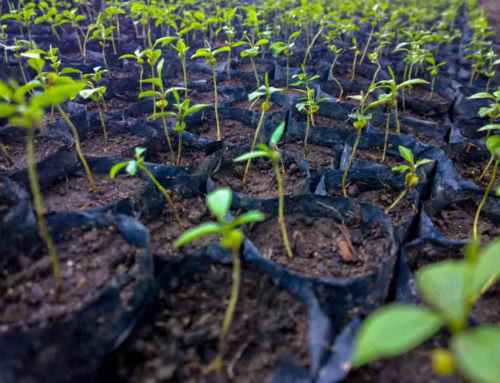 To date, more than 200,000 seedlings grown by the local communities have been planted and we are further developing local nurseries to grow cash crop plants to diversify incomes. training employees and supplying evidence to prove how the project continues to meet the standards and requirements of VCS and CCB. That audit was a success with only minor issues remaining to be provided before it is finalized. Rimba Raya is the only verified REDD+ project in Indonesia approved to sell carbon credits under both standards. These tough audits ensure we strive to perform at the very highest level, we keep on learning on the ground and provide investors with an assurance that are investing in a project that benefits local communities, the country and the planet. Despite the audit preparation workload, the community livelihood/development programs also increased during this period with a focus on subsistence and revenue producing activities for the local communities within the project area. Socialization of what the Rimba Raya Conservation (RRC) project is and what assistance we hope to provide to local villages has been completed in 9 out of the 10 villages, with the last one not completed because it only was included mid-year 2014. Training of hygiene and sanitation for production of shrimp paste in Sungai Perlu. Additionally, 8 of the 10 villages have received the initial “stimulus funds” of IDR 40,000,000 (USD $3,500) for economic and livelihood development programs, with the remaining two likely to have finished and submitted their proposals by the end of this year. A garbage bank has been established in Telaga Pulang where villagers can collect garbage items that can be resold (bottles, cans, etc.) or reused (manufacture of handicrafts using plastics that cannot be recycled and sold) and other villages are now asking for something similar. Handicrafts and furniture made from recycled and fallen logs is now a reality in Muara Dua with much of RRC office furniture being purchased from this activity. Village agreements for cooperation with the program have been signed by 6 of the 10 villages with 4 more currently in negotiations. About 1,250 water filters have been distributed among village households to improve the quality of their drinking water from the river, tributaries or wells. And finally, we are in the process of hiring 2 community development staff from each village to help us understand, develop and implement livelihood and development programs specific for each individual village. At least one of the staff from each village will be a woman to ensure we fully understand the needs of women in the village and the central role they play in managing communities. By focusing on conserving and restoring a vast area of peat that was once all heavily forested, the project is helping the Indonesian government meet its commitments to reducing emissions and provide an example of national efforts to combat climate change. The location of the project area in a narrow strip between Tanjung Puting National Park and the Seruyan River provides a buffer to protect the park and its national resources from encroachment and growth pressures. While the Rimba Raya project is the 1st validated REDD+ project in Indonesia, the RRC project was only the 4th Ecosystem Restoration concession license approved by the Ministry of Forestry, a relatively new concept within government and an opportunity to demonstrate the value of conservation and restoration activities for the forest resources managed by the Ministry. Restoration of the project area will help the Seruyan government to protect the district capital downstream from flooding that is likely to occur from mass deforestation and forest conversion that has occurred upstream. Providing restoration, protection and management of forest cover along the roughly 70 kilometre stretch of the Seruyan River will help improve water quality for villagers as well as the fisheries they rely on. Revenues from the project are put back into community livelihood programs to increase the capacity and income for the villages with a goal of ultimately improving their lives and that of their children and grandchildren. Finally, the Rimba Raya model is an effort to demonstrate that REDD projects can be a viable, private, commercial enterprise that generates revenue and profits while achieving the program objectives, which is essential for developing REDD into more than just government or NGO financed and sponsored projects.